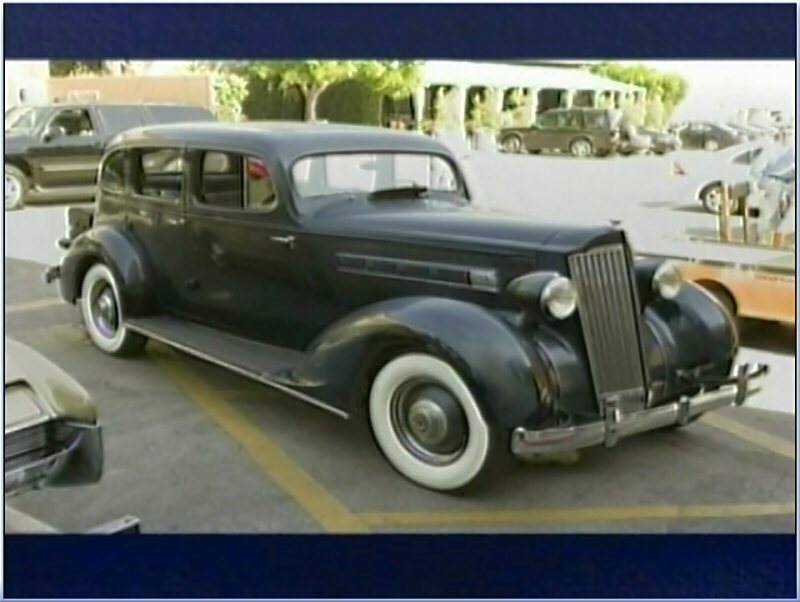 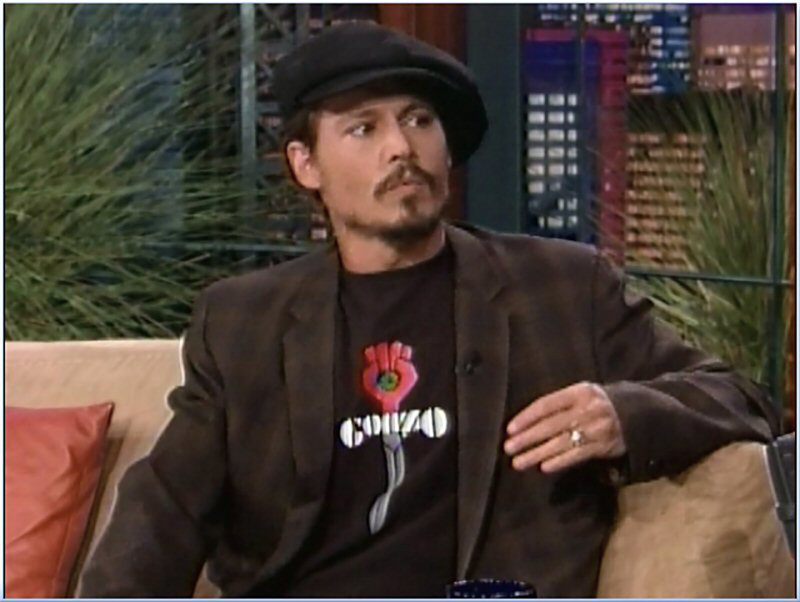 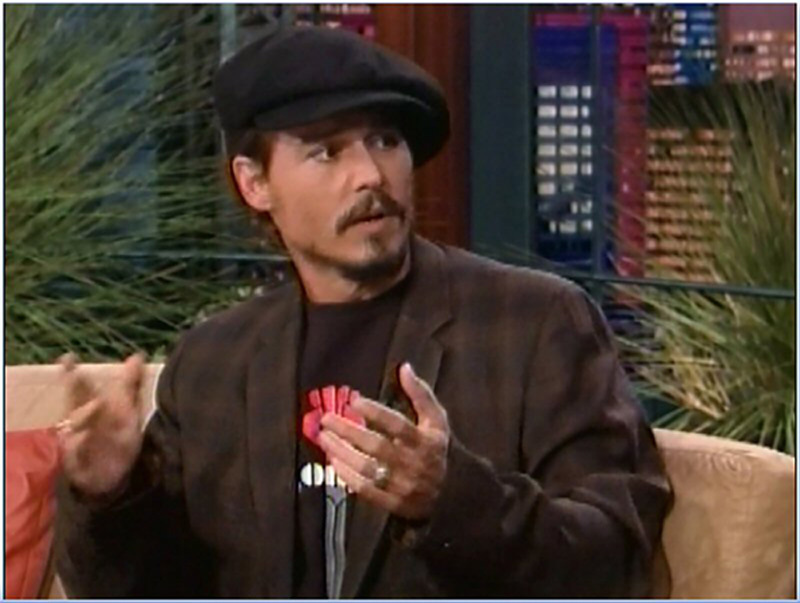 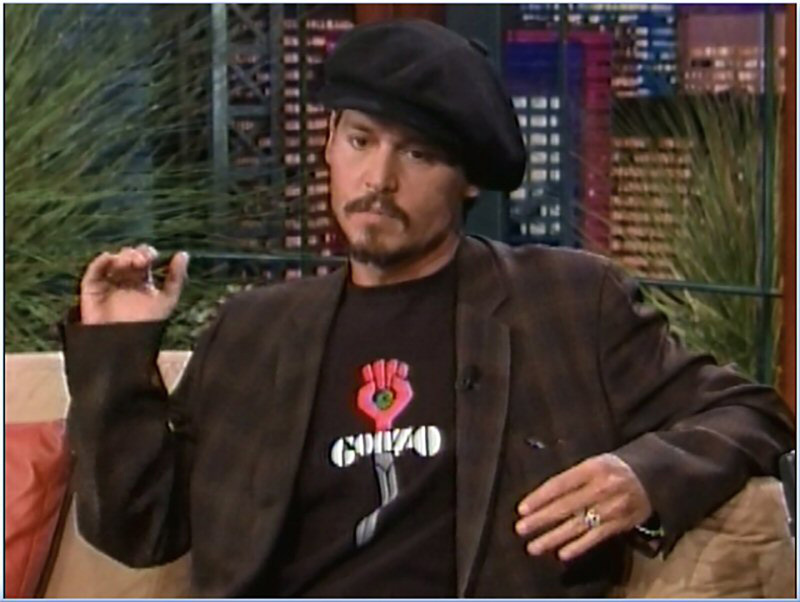 On Wednesday, July 13, 2005, Jay Leno welcomed Johnny Depp to THE TONIGHT SHOW, introducing Johnny as one of the finest actors of his generation. Leno, a noted antique car collector, was visibly impressed by the 1935 Packard Johnny drove to the Burbank studio, and persuaded Johnny to divulge details of his brief and less-than-stellar career as a car mechanic. 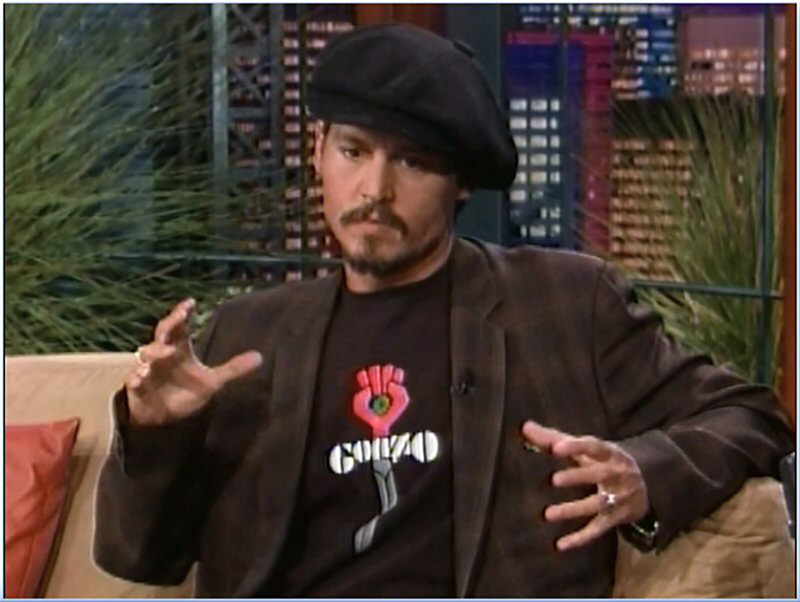 On a more serious note, they discussed the impending memorial for Hunter S. Thompson. 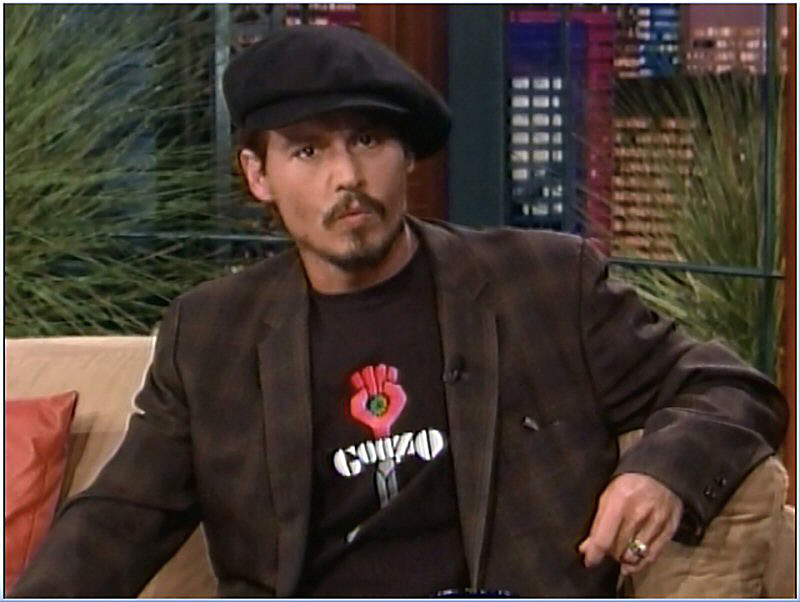 Johnny, nearly tongue-tied with emotion, described Hunter as a great, great man, while the camera lingered on his black t-shirt emblazoned with Hunters Gonzo emblem. 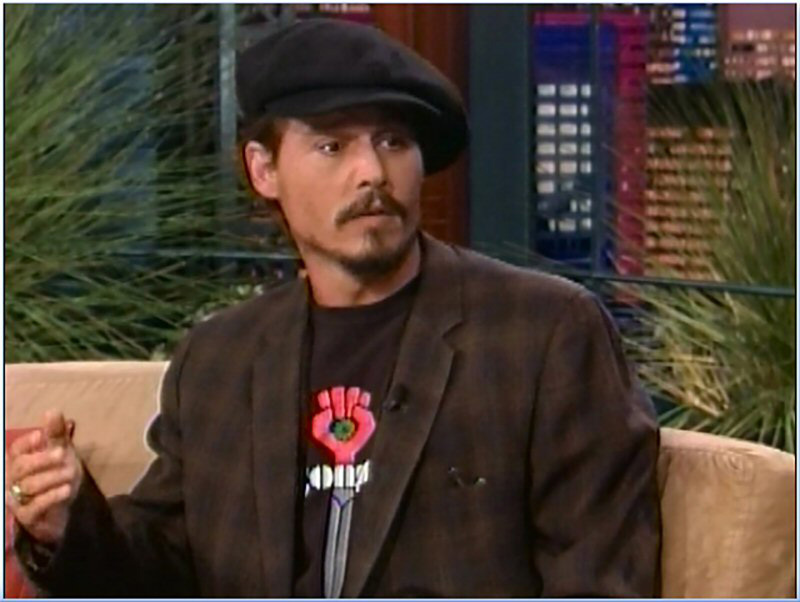 Johnny introduced a brief clip from CHARLIE AND THE CHOCOLATE FACTORY, admitting that he accepted the project before the script was written because he had complete confidence in his friend Tim Burton. 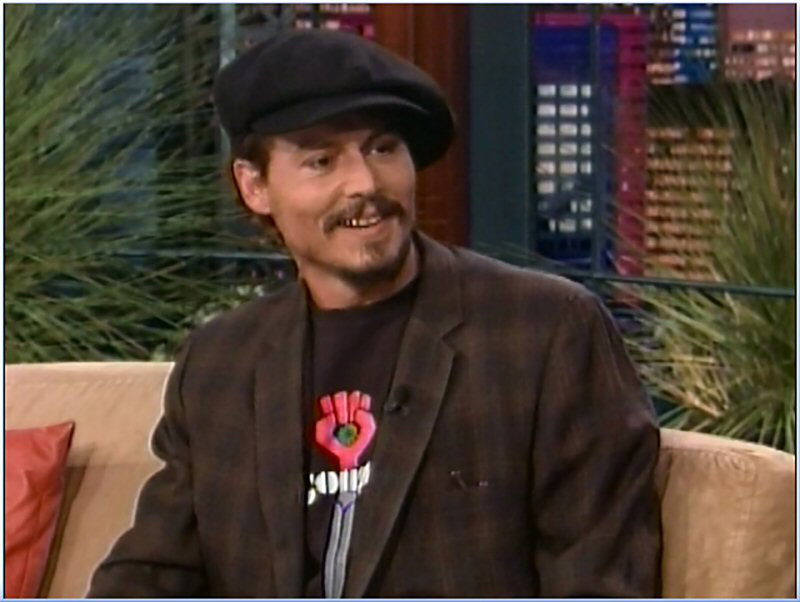 Asked to name his influences for Willy Wonka, Johnny cited hosts of children's shows he had seen as a kid, like Captain Kangaroo and Mr. Green Jeans; their voices, he said, were unnerving." 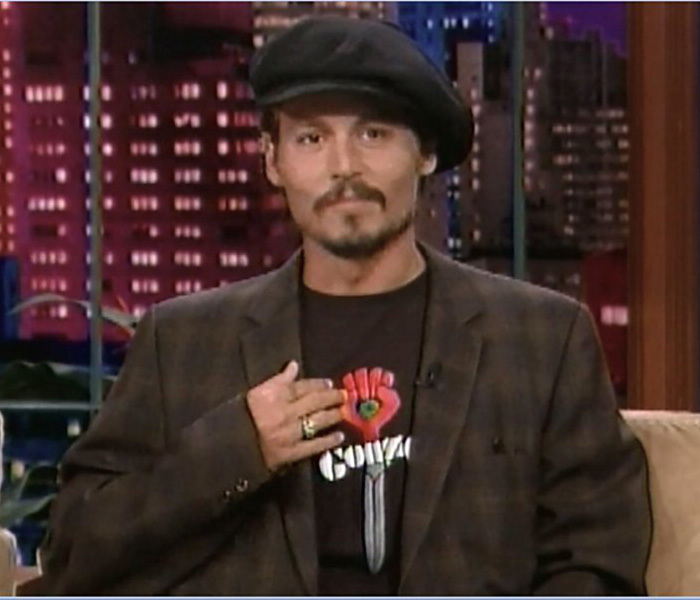 Johnny and Jay also discussed whether Keith Richards would play Captain Jack Sparrows father in PIRATES OF THE CARIBBEAN 3 (Its looking very good, actually, Johnny said); why Johnny dreads dancing in films and under what circumstances he might accept a role in a sequel to CHICAGO; and why you should never, ever eat the cocktail peanuts in a bar. 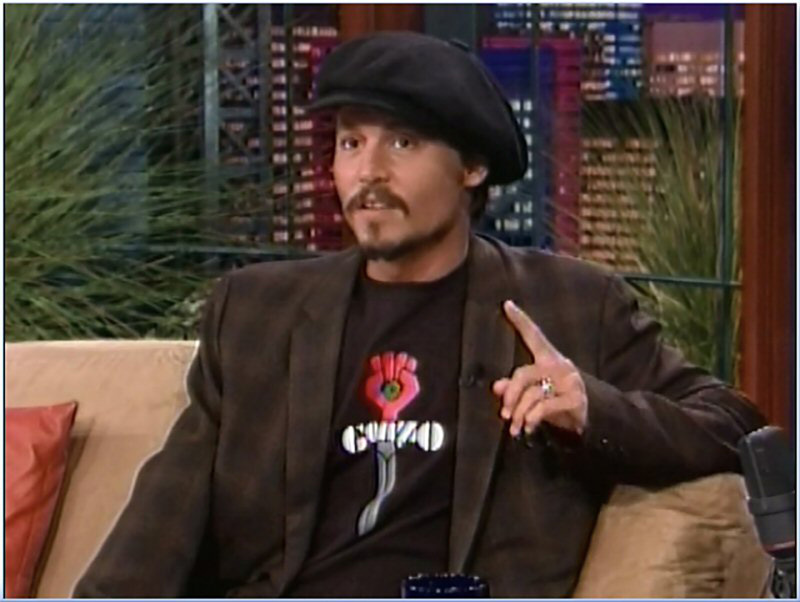 Coincidentally, the guest following Johnny was Eva Mendes, who played Agent Sands's treacherous, hard-as-nails lover in ONCE UPON A TIME IN MEXICO. 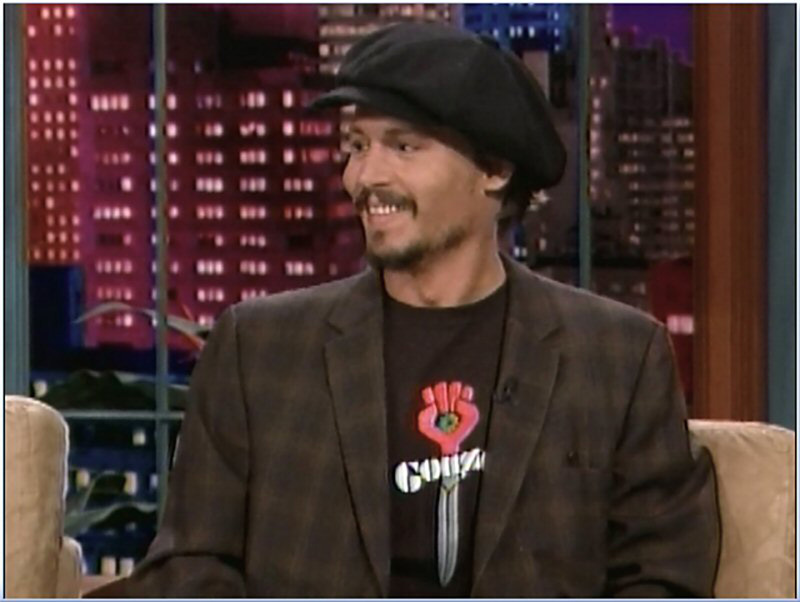 A blushing Eva admitted to Jay that she had a severe crush on Johnny in his JUMP STREET days, and that she was still giddy and star-struck when she saw him in the hall at NBC. 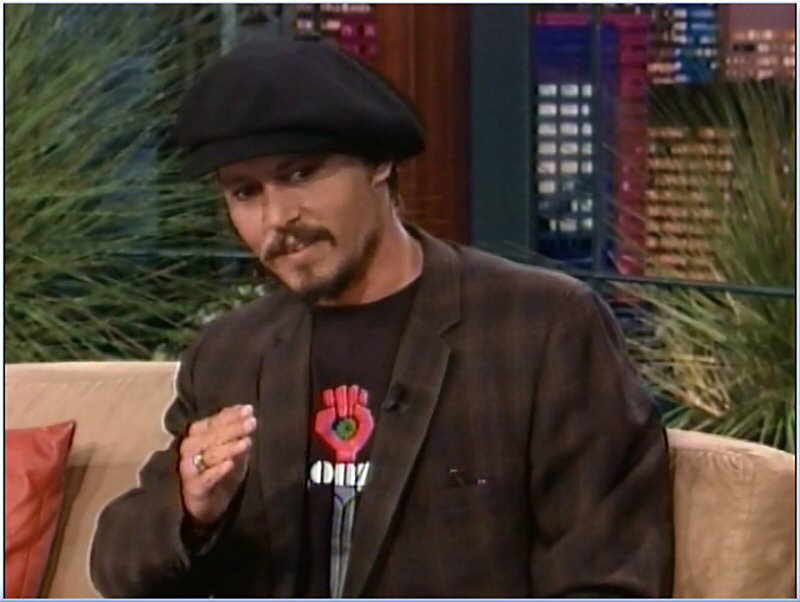 Three pictures document Evas attack of JDOCD as Johnny left the set.